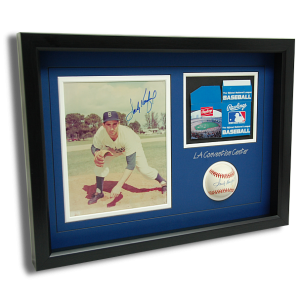 Shadow box frames would work best if you are the type of person who loves to keep different items from a trip, collect souvenir items, memorabilia, awards, and other collectibles or just want to save items that remind you of your family, friend, or pet. A shadow box is a deep frame that you can use to display three-dimensional items. It is almost the same with creating scrapbooks but shadow box allows you to be more creative by using other items of your choices. There are different shadow box ideas that you can work on with. If you intend to save the memories from an amazing trip, you may use the different items that you found or bought during the trip. It can be an item you bought from a souvenir shop, a piece of rock or flower you saw while you are walking around the place, or the plane tickets you used on the trip. You can combine as many objects as you want to. However, you have to take note that the items would determine the size of your shadow box frame. If you worked or have been working in an army, you may opt to have your own Military Shadow Box. 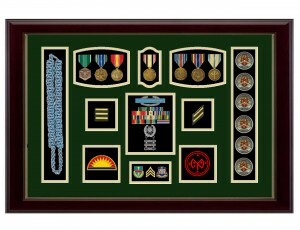 This is where you can put all your military insignia, medals, flags and other awards. There are some stores who have MOA Military Awards Specialist who will check your case and arrange it from start to finish. You can bring your items to their store or send it though mail. 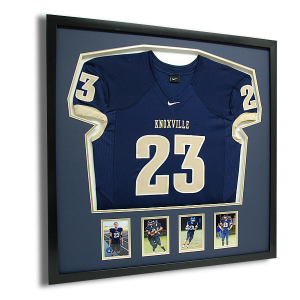 Shadow box frame can also display and preserve your favorite replica sports jersey. Before purchasing or creating your own frame, you have to get the measurements of your jersey first. Layout your jersey based on how you want it to be displayed in your frame. Use a measuring tool such as a tape measure to identify how big your frame should be so the jersey would properly fit into it. Make sure to allow at least 1 inch of space between your jersey and the frame. A shadow box can also work in preserving the great memories of a loved one who passed away. You may search for the pictures of your loved one and select the ones you want to be included in your memorial shadow box. You may also include his favorite items. It could be medals, wallets, scribbled notes, small toys, and other items you find relevant for your shadow box. Arrange the layout the way you want it to appear in your frame. Then get the measurement and purchase your shadow box frame. Assemble it based on the layout you initially made. 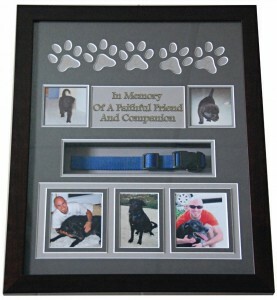 You may also create a pet memorial shadow box for a pet you just lost. You can also include his pictures, his favorite toys or even his plate. You may also include his clothes or outfit if you used to buy him stuff like that. Having a memorabilia shadow box can help you be reminded of the different memories happened in the past or historical events that took place. You may purchase memorabilia items of your favorite heroes or other popular people in the history or items that resemble a particular event in the history. You may buy shirts, mugs, figurines or other items that you want to include in your shadow box. Arrange your items based on how you want them to be displayed and ask the stores near you to customize the frame based on your preferences. There are a lot of shadow box ideas that you can explore with. The outcome of your frame depends on how you want your items be displayed and arranged. It also depends on the items you want to be included in your frame. Let your creativity flows and create the shadow box frame you ever wanted. Check out this Facebook page as well for some amazing MILITARY SHADOW BOX IDEAS.